In recognition of National Volunteer Week, we’ll be highlighting some of the library’s fantastic volunteers over the next month! Today’s post features Nancy Jones and Cecile Wilson, who volunteer in the library’s booksale. 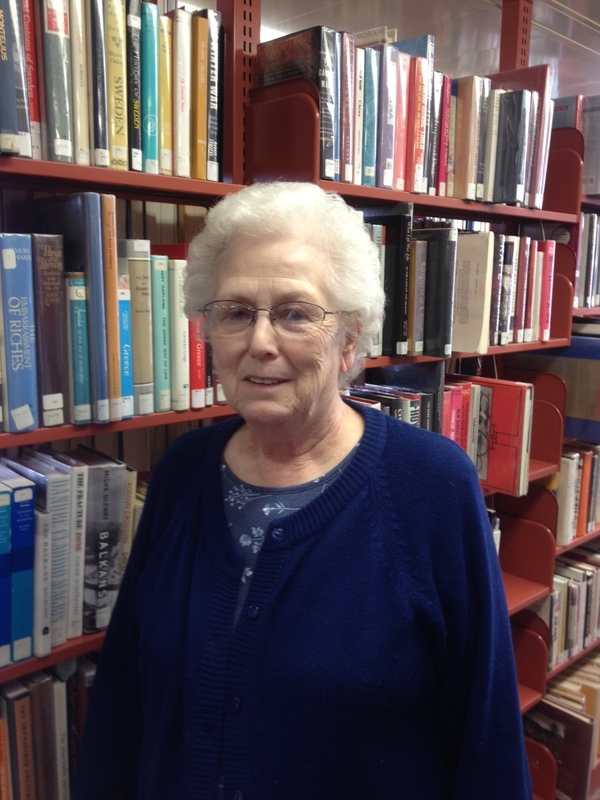 Our newest volunteer at Prendergast Library, Nancy, started here about three months ago. She decided to volunteer her time at Prendergast because she is concerned with the lack of public support for local libraries. She enjoys working in the booksale area, chatting with patrons and helping them find books they are searching for. A Jamestown native, Nancy spent her early years with a cat, then later with a dachshund. She received a Regents Diploma upon graduating from Jamestown High School. Nancy attended Jamestown Community College after her children had grown. 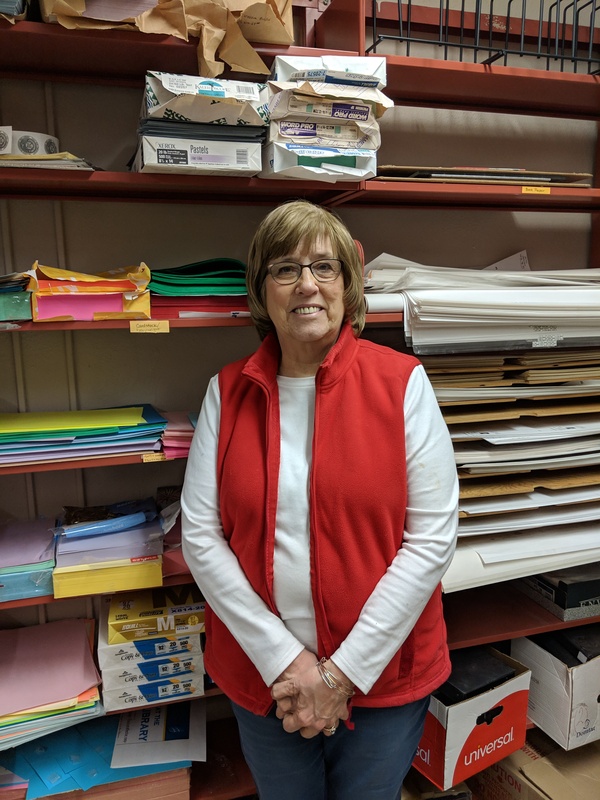 Prior to retirement, she enjoyed working in the accounting department of Falconer Printing and Design. When she is not volunteering, she spends time with her son, daughter, and three grandsons. Cecile also volunteers in the library booksale. After donated books are sorted, Cecile helps to restock the shelves and keep the booksale area organized. When patrons are looking for help in the booksale, Cecile is always ready to provide assistance. If you’ve visited the library during one of our quarterly half-off sales, you’ve probably had the chance to chat with Cecile! 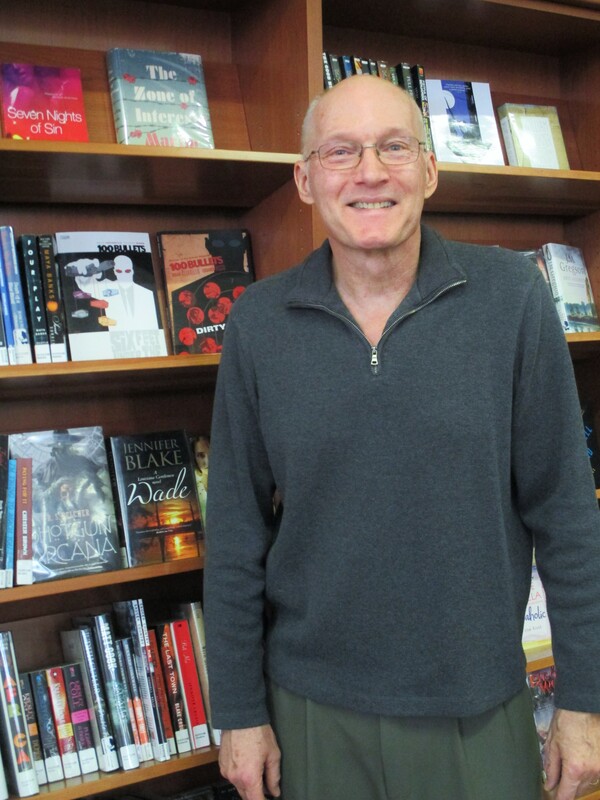 Steve Seymour has been volunteering at Prendergast Library for about five years. Steve interned at Prendergast in the early ‘70s and after returning to the area from Colorado, he has come full circle to dive into the stacks once again. Steve spends his time at the library shelving books and engaging with patrons. Steve says that his favorite part of volunteering at the library is working with the staff and meeting a diverse population that he would’ve otherwise never met. Steve was born in Waverly, New York and grew up surrounded by dogs. He spent much of his free time riding his bike and water skiing. He remembers Mrs. O’Brien, his ninth grade history teacher at Waverly High as having an influence on future career. Steve attended SUNY Fredonia where he obtained his Bachelor’s and Master’s Degrees in Elementary Education, and also met his wife, Meredith – who also volunteers at the library. Together, they have two children and five grandchildren. Steve’s greatest professional reward was the personal joy he felt as a teacher shaping the lives of third – sixth graders for 35 years. 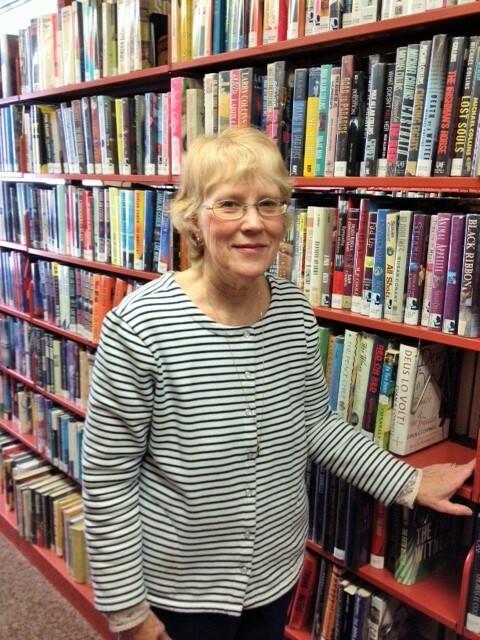 For five years, Meredith Seymour has nurtured her love of books while volunteering her time at Prendergast Library. Merrie enjoys her primary duty of putting returned books back in their correct locations. A Jamestown native, Merrie’s beloved childhood pet was Duchess, a Springer Spaniel. While attending Jamestown High School, she participated in the Honor Society. She remembers her violin and orchestra teacher, Mr. Russell Johnson, as being influential at that time in her life. Merrie went on to obtain her Bachelor’s degree in Elementary Education at SUNY Fredonia. Meredith enjoys spending quality time with her husband, Steve, their children, and their grandchildren.